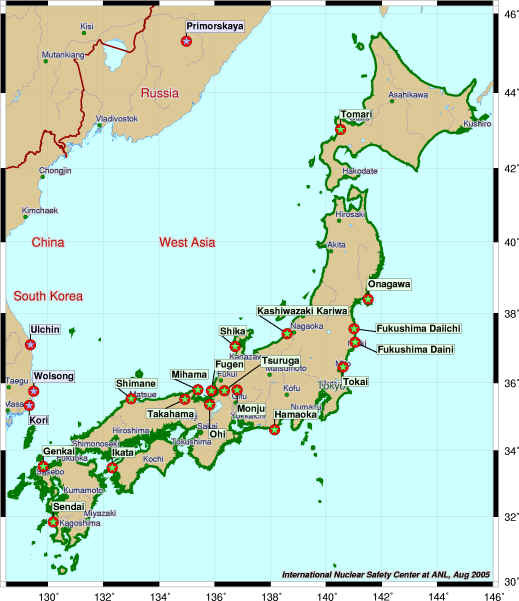 There are currently 55 operating nuclear power plants in Japan. The ten FEPC member companies own and operate 52 Light Water Reactors (LWR). Three more LWRs are operated by the private company Japan Atomic Power Corporation (JAPC). The Monju Fast Breeder Reactor (a prototype reactor which was taken off line in the 90's but expected to start up again soon) is run by the semi-governmental organization Japan Nuclear Cycle Development Institute (JNC). There are also two more nuclear plants currently under construction, as well as another 11 that are in advanced planning stages. One of those reactors in the planning stage will be owned and operated by another semi-private corporation, The Electric Power Development Co, Inc. (EPDC). Two reactors in Japan, JAPC's Tokai and JNC's Fugen Advanced Thermal Reactor prototype have been permanently closed. Units 1, 2 and 3 are believed to have experienced a partial meltdown, and Unit 4 has seen its spent fuel rods directly exposed to the air. The radioactive substance plutonium has been found seeping into the soil near Japan's stricken nuclear power plant, officials announced on March 29 and officials said that radiation readings at one of the plant's nuclear reactors indicate a partial meltdown and possible seawater contamination. Radioactive iodine in seawater near the stricken Fukushima Dai-ichi nuclear plant in northeastern Japan has reached 4,385 the legal limit. 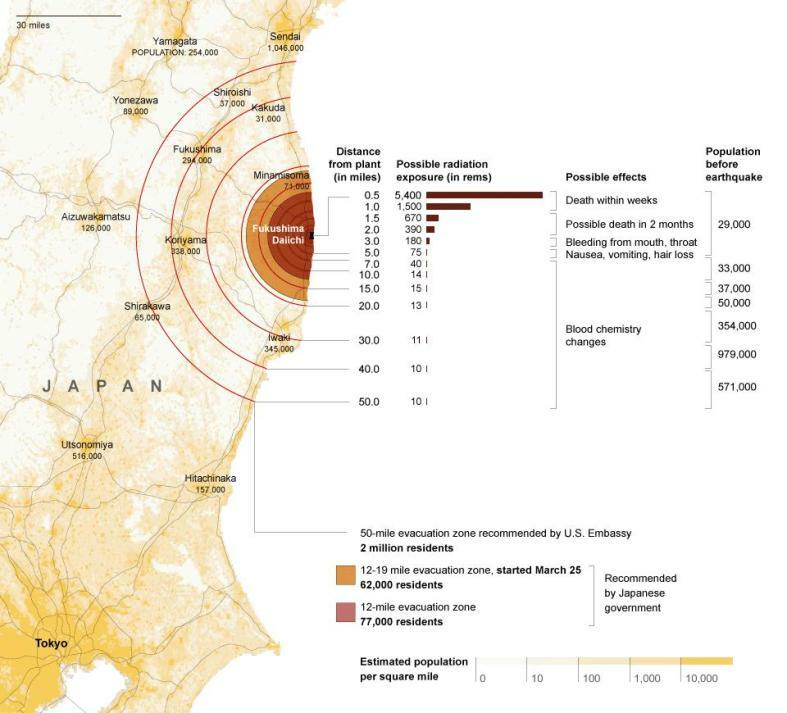 The International Atomic Energy Agency has also found potentially unsafe levels of radiation outside of the 12-mile evacuation radius put in place by the Japanese government, raising questions about whether the current evacuation zone is sufficient. Officials with Tokyo Electric Power Company that operates Japan's tsunami-stricken nuclear plant say radioactive contamination in groundwater underneath a reactor has been measured at 10,000 times the government health standard. A spokesman for plant operator . says the company doesn't believe any drinking water supply is affected. Contaminated water has been pooling at the Fukushima Dai-ichi nuclear power complex since it was damaged by the devastating earthquake and tsunami. It has already leaked into the ocean. Spokesman Naoyuki Matsumo says the elevated levels of iodine-131 were measured in groundwater 15 meters underneath one of six reactors at the plant. Iodine is a radioactive substance that decays quickly, with half disappearing in eight days. transmission line at 6 m 3/h. off-site transmission line at 7 m 3/h. The map of the deposition of radiocaesium is presented in Fig. 1.The values represent the sum of Cs-134 and Cs-137. The areas in green show a deposition of these two radionuclides of between 0.6 and 1 MBq/m2. The areas in yellow indicate a deposition of between 1 and 3 MBq/m2. The areas in red indicate a deposition of between 3 and 30 MBq/m2. All are normalized to 29 April 2011. From 12 to 18 May, the Ministry of Health, Labour and Welfare eported results of continued monitoring for radioactivity in food. Over this period, results for 503 food samples from fifteen different prefectures were reported. Most of this monitoring continues to be concentrated within Fukushima prefecture (39% of samples reported for 12 - 18 May). The majority of results were below regulation values, but 28 out of these 503 samples (fewer than 6%) were found to have radioactivity levels above the Japanese regulation values for radiocaesium. These samples were collected in three prefectures (Fukushima, Ibaraki and Kanagawa). None of the 503 samples was found to have radioiodine in excess of the regulation values. The ongoing crisis at Japan's Fukushima nuclear power plant has been upgraded to a level 7 on the International Nuclear Events Scale. To put this into perspective, the Chernobyl diaster was a level 7, and the Three mile Island accident was a level 5. White smoke billows from the No. 3 unit next to the damaged No. 4 unit at the Fukushima Dai-ichi nuclear complex in Japan. In this image taken by T-Hawk drone aircraft, Tokyo Electric Power (TEPCO) Co.'s crippled Fukushima Daiichi Nuclear Power Plant No.4 reactor's operating floor which has been exposed due to a destruction of its exterior after being damaged by the tsunami is seen in Fukushima, northern Japan April 15, 2011, in this handout photo released by TEPCO April 16, 2011. Japan has told the U.N. atomic agency that 28 nuclear workers have received high radiation doses as they battle to stabilise the stricken Fukushima Daiichi power plant. Picture taken April 15, 2011. In this image taken by T-Hawk drone aircraft, Tokyo Electric Power (TEPCO) Co.'s crippled Fukushima Daiichi Nuclear Power Plant No.1 reactor building's rooftop is seen in Fukushima, northern Japan April 15, 2011, in this handout photo released by TEPCO April 16, 2011. Japan has told the U.N. atomic agency that 28 nuclear workers have received high radiation doses as they battle to stabilise the stricken Fukushima Daiichi power plant. Picture taken April 15, 2011. 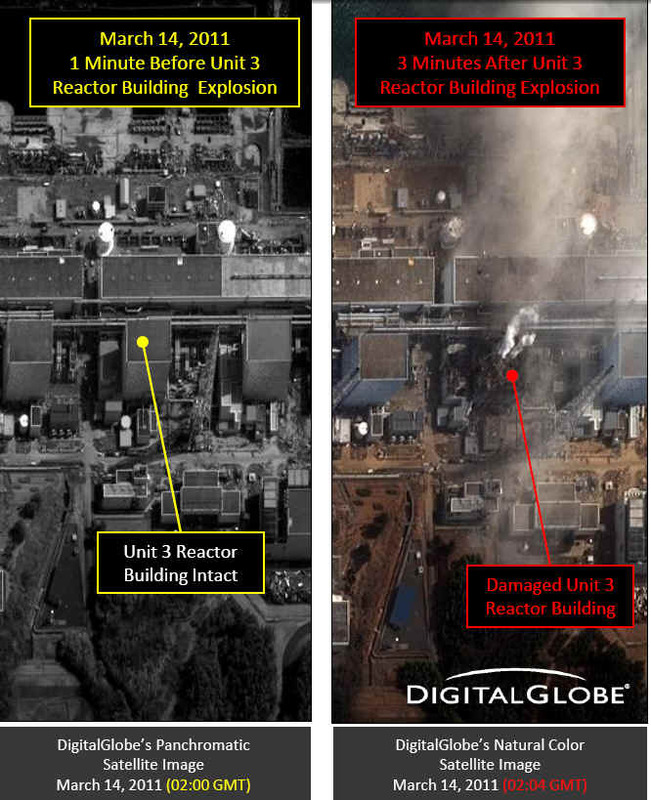 In this image taken by T-Hawk drone aircraft, Tokyo Electric Power (TEPCO) Co.'s crippled Fukushima Daiichi Nuclear Power Plant No.4 reactor building in Fukushima, northern Japan April 15, 2011 is seen in this handout photo released by TEPCO April 16, 2011. Japan has told the U.N. atomic agency that 28 nuclear workers have received high radiation doses as they battle to stabilise the stricken Fukushima Daiichi power plant. Picture taken April 15, 2011. Earthquake (previously announced on March 11). Station achieved cold shutdown (previously announced on March 15). The 8.9-magnitude earthquake strikes off the coast of Honshu island at a depth of about 24km. The tremor triggers the automatic shutdown of 11 of the nation's nuclear power reactors, including reactor units 1,2 and 3 at the Fukushima Daiichi power plant. 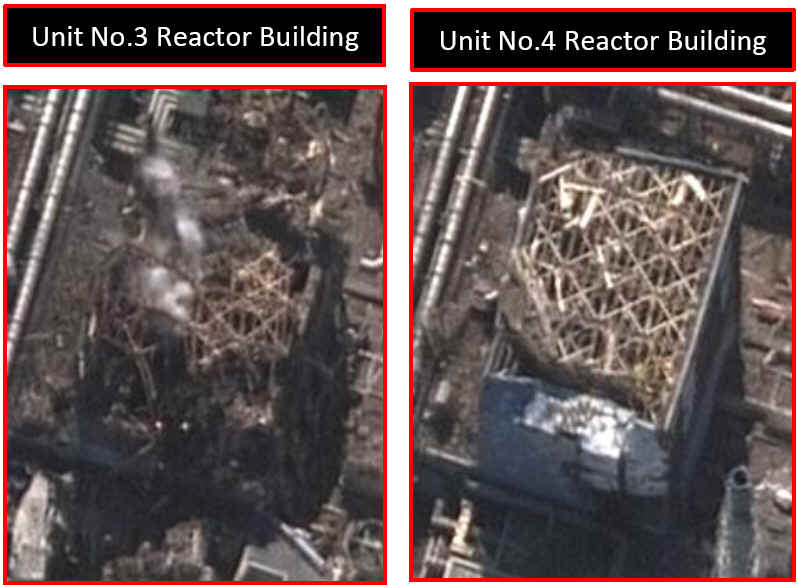 Reactor units 4, 5 and 6 were undergoing routine inspections, so were not operating. The quake causes the power station to be cut off from the national electricity grid. The plant's operators, Tokyo Electric Power Co (Tepco), find that the diesel-powered emergency generators for units 1 and 2 are not working and notify government officials. 1541: Tepco reports that the emergency generators for reactor units 1, 2 and 3 have failed - some reports suggest that the diesel-powered back-up systems are affected by the tsunami. In the following hours, engineers attempt to install mobile power units to replace the diesel systems and manage to stabilise conditions at units 2 and 3, but not at unit 1. 1600: Japan's Nuclear and Industrial Safety Agency (Nisa) sets up an emergency headquarters to gather information on potential damage to the nation's 55 nuclear reactors. 1930: Chief Cabinet Secretary Yukio Edano announces that Prime Minister Naoto Kan has declared a "nuclear emergency status". Officials reassure people that this is standard procedure in events like this and no radioactive material has been detected in the area surrounding the power station. 2100: Residents within a 3km radius of the power station are told to leave their homes, while those within a 10km radius are told to stay at home in case it is necessary to extend the evacuation area. Following the automatic shutdown of the reactors, and the failure of emergency generators, pressure in the unit builds up as a result of the pumps in the cooling system not working properly. The pressure is the result of the reactor's residual "decay" heat causing the coolant, which is not being circulated, to evaporate. The consequent increase in pressure in the coolant circuit can be controlled by pressure release valves, but this leads to an increase in pressure within the reactor building containment chamber. Tepco says that the pressure inside reactor unit 1 is more than twice normal levels. In order to release some of the pressure inside the reactor unit, the decision is taken to vent some of the steam, which contains a small amount of radioactive material, into the air. 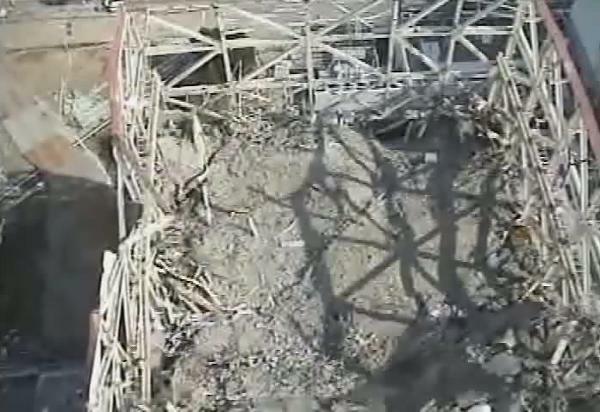 1009: Tepco confirms it has released a small amount of vapour into the atmosphere to reduce pressure in reactor unit 1. 1043: Control rod alarm stops, and all rods are confirmed as being fully inserted. 1058: In order to release some of pressure inside reactor unit 2, some steam was vented into the air. Again, this contains a small amount of radioactive material. 1530: TV cameras capture a massive explosion at the power station. The pictures appear to show that the outer structure of one of four buildings at the plant has collapsed. 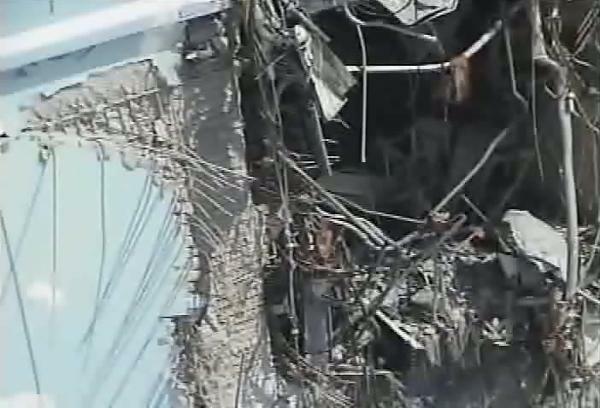 Tokyo Electric Power Co says four workers have been injured in the blast. 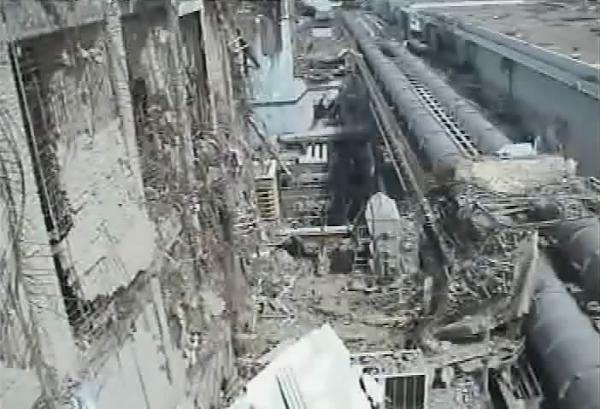 2000: Uncertainty surrounds what was the actual cause of the explosion, and what damaged was caused by the blast. Chief Cabinet Secretary Yukio Edano confirms that the concrete building surrounding the steel reactor container has collapsed as a result of the blast, but the steel containment chamber itself had not been damaged. 2020: Tepco begins pumping seawater, mixed with the element boron, into unit 1's reactor. Boron is used as a shield in nuclear reactors, as it controls the nuclear reaction. Nisa confirms that monitoring systems in the area have detected presence of radioactive elements caesium-137 and iodine-131 in the vicinity of unit 1. It reports an initial increase in levels of radioactivity around the plant, but says these levels have been observed to lessen. 2300: In its latest update, the plant's operator says: "We are preparing to implement a measure to reduce the pressure of [unit 3's] reactor containment vessels under the instruction of the national government." An official at Japan's nuclear agency rates the incident at 4 on the 0-7 international scale of severity. The 1986 Chernobyl disaster was rated 7, while the 1979 Three Mile Island accident was rated 5. 0320: The World Health Organisation says the risk to the public from the radiation leak at Fukushima is "probably quite low". 0523: The International Atomic Energy Agency says the plant's operator has confirmed that the containment vessel around unit 1 is intact and levels of radioactivity nearby have fallen in recent hours. 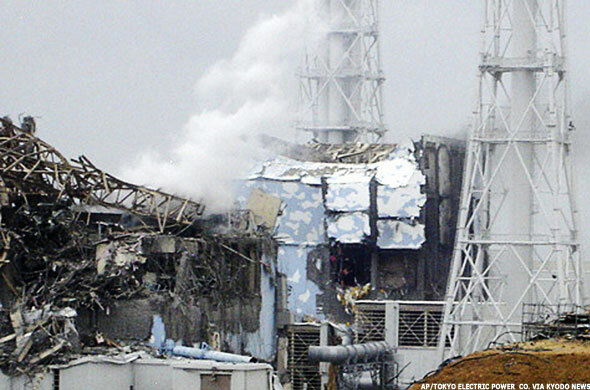 0623: An official from Nisa says the emergency cooling system at the plant's unit 3 reactor has failed. 0752: Tepco say it is preparing to release steam - containing a small amount of radioactive material - from unit 3 in an effort to lower the temperature inside. It is also looking for an alternative way to inject water into the reactor because without a continuous flow of water, there is a danger that the fuel rods will become exposed to the air and could melt. 0826: Yukio Edano tells state TV the unit 3 reactor was in danger, but attempts are under way to vent steam. Subsequently, it is reported that radiation has again risen above legal safety limits around the plant. 1326: Mr Edano says venting of unit 3 was completed at 0841 local time, but a partial meltdown in the reactor is still "highly possible". 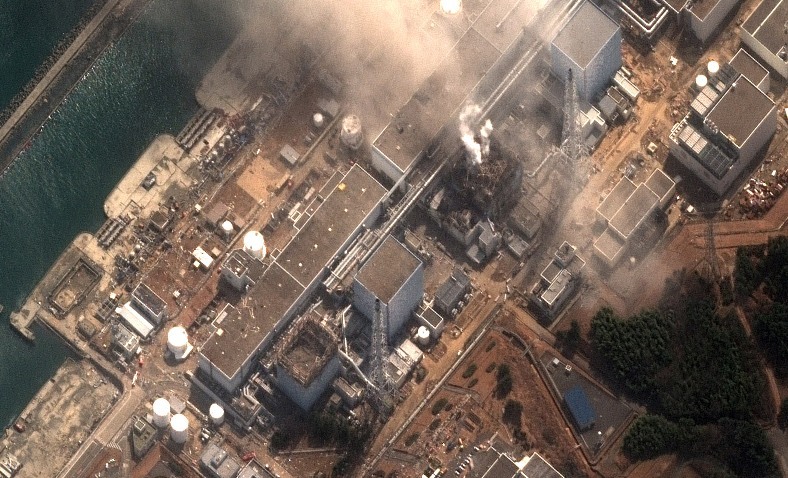 1538: The Japanese government warns of the risk of another reactor explosion following the failure in unit 3. But a spokesman attempts to reassure people by saying the unit is designed to protect the reactor core in the same way as unit 1, and - so far - the radioactivity released into the environment does not pose a threat to human health. 2005: In his latest public briefing on the situation, Mr Edano says authorities have begun injecting seawater into the unit 3 reactor to try to lower the temperature - as they did on Saturday with unit 1. He says the water level inside is thought to be rising to more satisfactory levels, but the gauge, which seems to be broken, is not showing this. 2209: It is reported that Tepco is planning to pump seawater into reactor number 2 at the plant - this is the first time problems have been reported with this third unit. It is worth noting that using seawater like this is terminal for a nuclear reactor. It is a last-ditch move and renders the reactor permanently unusable. 2241: UN nuclear watchdog, the IAEA, says a state of emergency has been declared at a second Japanese nuclear power plant, Onagawa. The IAEA says high radiation levels had been found around the plant. A fire broke out in the turbine building of one the reactors at Onagawa on Friday, but was put out. 2350: Japan's nuclear safety agency says there is no problem with the cooling systems at the Onagawa plant. It blames the high radiation levels on radioactive releases from the Fukushima Daiichi complex. 01:43 - Japan Atomic Power says the cooling process was working at its Tokai No.2 nuclear power plant's reactor although two of the three diesel power generators used for cooling were out of order. The reactor at the plant, about 120 km (75 miles) north of Tokyo in Ibaraki prefecture, was automatically shut after Friday's massive earthquake and tsunami. 07:29 - TEPCO says it has reported a rise in radiation levels at its Fukushima Daiichi nuclear power plant to the government. 11:11 - Domestic media image shows smoke rising from the No.3 reactor at Japan's Fukushima Daiichi nuclear plant. Japanese TV says there was a hydrogen explosion at the plant. 11:20 - Japan's nuclear safety agency confirms a new explosion rocked Japan's stricken Fukushima Daiichi nuclear power complex, sending a plume of smoke into the air. But it says it cannot confirm whether or not the hydrogen explosion at the plant's No.3 reactor has led to an uncontrolled leak of radioactivity. 11:40 - Jiji quotes TEPCO as saying a fresh explosion that rocked the Fukushima Daiichi nuclear power complex has not damaged the plant's No.3 reactor vessel. 12:43 - Chief Cabinet Secretary Yukio Edano says a large-scale radiation leakage is unlikely from the Fukushima Daiichi nuclear power plant's No. 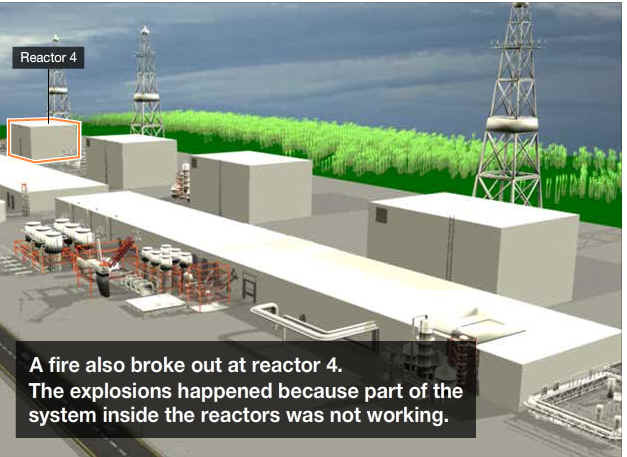 3 reactor hit by an explosion after cooling problems. 15:17 – Jiji news agency reports that there has been an explosion at a fuel oil tank at a thermal power plant in Fukushima and that the tank is on fire. It is not immediately clear which company the thermal power plant belonged to. 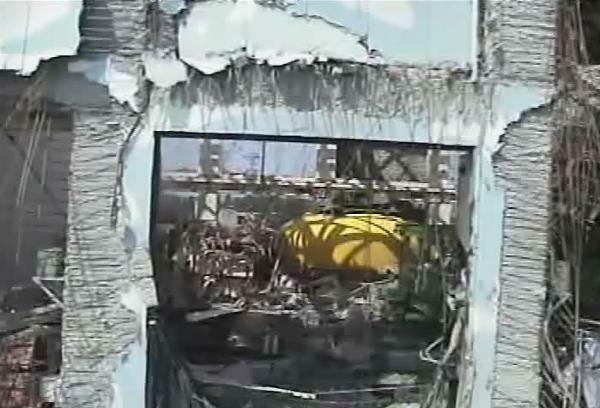 15:26 – The IAEA says Japan has told the U.N. nuclear watchdog the hydrogen explosion at the No.3 reactor at Fukushima Daiichi did not damage the primary containment vessel. 16:17 – Chief Cabinet Secretary Yukio Edano confirms water levels at the Fukushima Daiichi plant No.2 reactor are falling and its cooling functions have stopped. 17:23 – Jiji news agency says Japanese authorities have safely cooled down two nuclear reactors at the Fukushima Daini nuclear plant, close to another nuclear complex where they are still struggling to cool three overheating reactors. 19:52 – Jiji quotes TEPCO as saying nuclear fuel rods at the Fukushima Daiichi complex’s No.2 reactor, where levels of water coolant around the reactor core had been reported as falling earlier in the day, are now fully exposed. Jiji says a meltdown of the fuel rods cannot be ruled out. 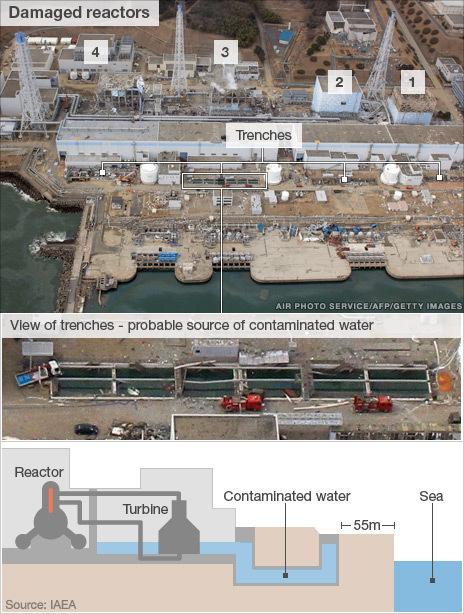 20:10 - Water levels inside the Fukushima Daiichi complex’s No. 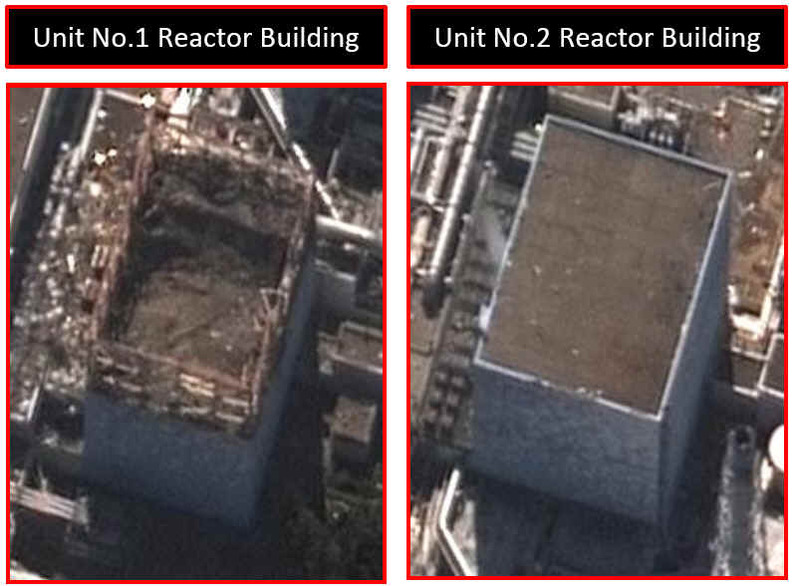 2 reactor are almost empty, TEPCO says. Jiji news agency says the operator of the plant has started injecting sea water to the reactor in the hope of cooling it down. 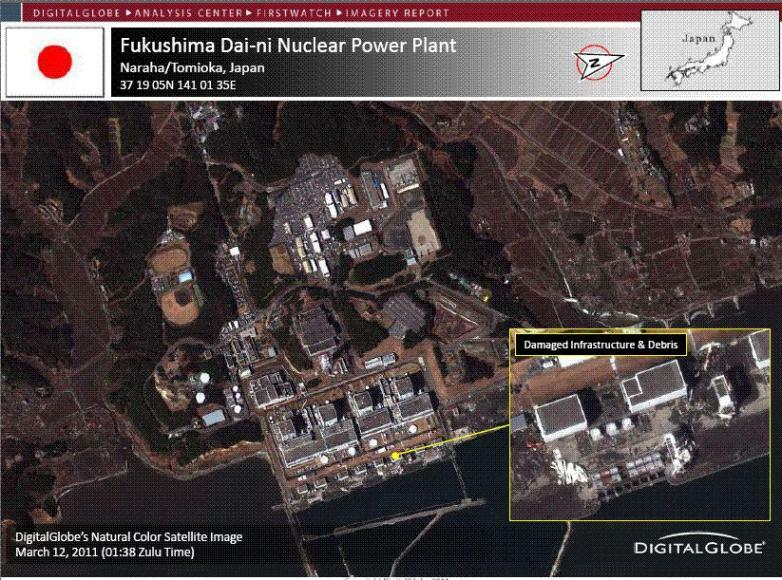 06:45 - Some damage has been detected at Fukushima Daiichi No. 2 reactor, but no sharp increase in radiation levels has been seen, Chief Cabinet Secretary Yukio Edano says. 07:57 – Fresh explosion heard at the plant, Japan’s nuclear safety agency says. 08:45 – The roof above overheating No. 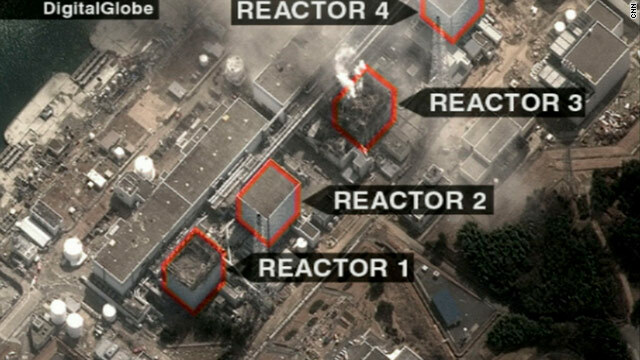 2 reactor is damaged and steam in rising from the complex, Jiji news agency reports. 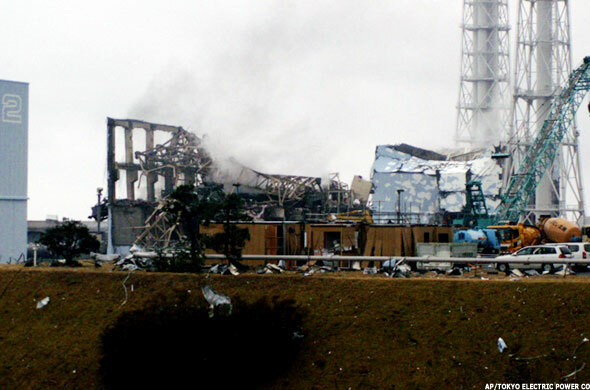 09:01 – Radiation levels in the air surrounding the plant have risen fourfold after the explosion, plant operator TEPCO says. 10:03 – The nuclear safety agency says it is unsure if the explosion at the reactor has damaged one of its reactor containment vessels. If the containment vessel were to break and fuel rods within it to melt, it could cause a major radiation leak. 11:08 – Risk of a nuclear leakage is rising, Prime Minister Naoto Kan says, and warns people within a 30-km radius to stay indoors. 11:41 – Radiation levels in Kanagawa prefecture, west of Tokyo, are up to nine times the normal level briefly on Tuesday, Kyodo news agency says, quoting the prefecture government. 11:57 - Japan’s science minister has asked local governments to make more frequent radiation checks, Kyodo news agency says. The agency also says there has been one explosion at the No. 4 reactor at a stricken plant. 12:03 – Winds over the plant are blowing in a southwesterly direction that includes Tokyo, but will shift later on Tuesday, the weather agency says. 12:37 – Minute levels of radiation have been detected in Tokyo, Kyodo says, quoting local government. 14:00 – Radiation levels in Tokyo are “not a problem”, the city government says. 14:03 – Prime Minister Kan sends a text message to mobile phone users across the country, asking them to conserve power. 14:07 – A no-fly zone is established for a 30-km radius around the plant, Jiji news agency says, quoting the transport ministry. 14:46 – Radiation levels in the city of Maebashi, 100 km north of Tokyo, are up to 10 times normal, Kyodo says, quoting the city government. 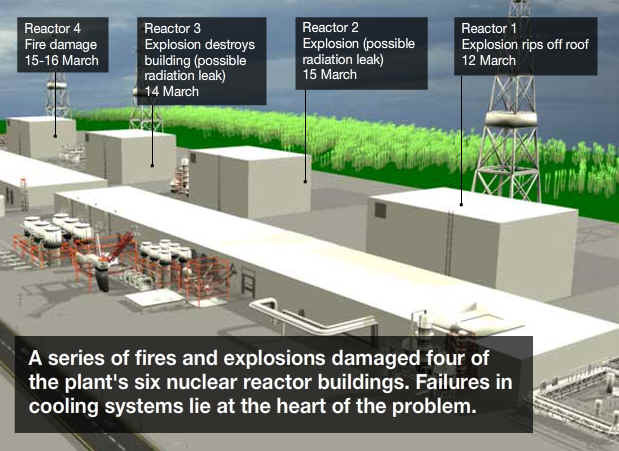 16:44 – Japan has told the United Nations nuclear watchdog (IAEA) that it has extinguished a fire at the spent fuel storage pond at the power plant, the Vienna-based agency says. 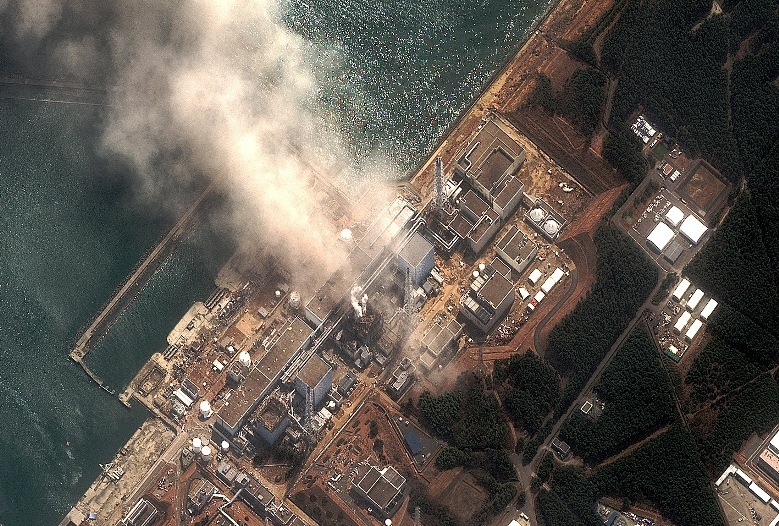 17:28 – Radiation levels fall at the plant, the government says. 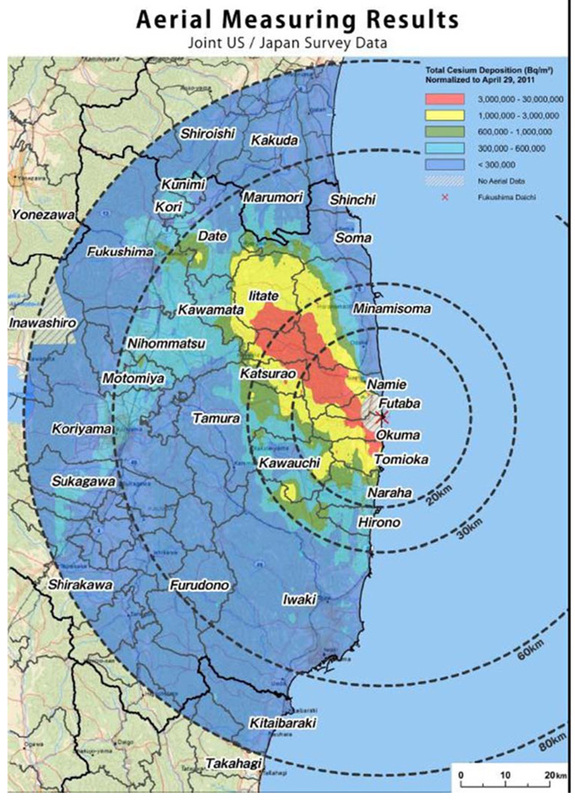 Chief Cabinet Secretary Yukio Edano says the radiation level at the main gate of the Fukushima Daiichi complex is 596.4 microsieverts per hour as of 0630 GMT, down from 11,930 microsieverts at 0000 GMT. 17:31 – Japan has told the U.N. Agency radioactivity was being released “directly” into the atmosphere, the IAEA says. 17:48 – A pool containing spent fuel at the No.4 reactor may be boiling and the water level may be falling, Kyodo news agency quoted an official at the reactor’s operator as saying. 18:01 – TEPCO has pulled out 750 workers from the plant since Tuesday, and 50 remain, it says. 18:06 – Radiation levels in Chiba prefecture, near Tokyo, are more than 10 times above normal levels, Kyodo reports. 18:20 – Japan’s nuclear safety agency says there are two holes of 8-metres square in a wall of the outer building of the quake-hit Fukushima Daiichi No.4 reactor after a blast in the morning. 19:09 – Winds are now dispersing radioactive material from the Japanese nuclear crisis over the Pacific Ocean, away from Japan and other Asian countries, the World Meteorological Organisation (WMO) says. 20:50 – The radiation level in the Japanese capital, Tokyo, is 10 times normal, but there is no threat to human health, the city government says. 20:54 - Radiation levels at the No. 4 reactor of the Fukushima Daiichi nuclear-power plant has become too high to conduct normal work from its control room, Kyodo news agency says. Workers cannot stay long and are going in and out of the control room as well as monitoring from a different place. 21:11 - TEPCO says it may pour water into the overheating fuel pool in the No. 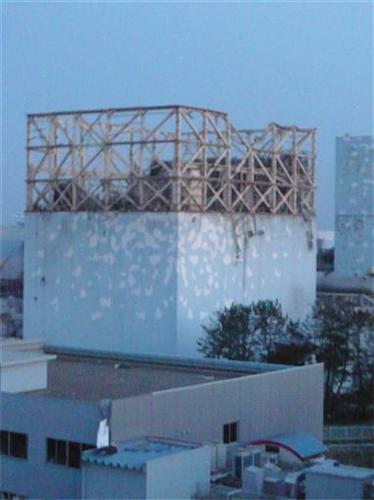 4 reactor of the Fukushima Daiichi nuclear-power plant within two or three days, possibly through holes in the building into the spent fuel pool. It adds holes in the wall of the outer building of the reactor mean spent nuclear fuel pool is exposed to outside air. 11:10 - A fuel pool at the No.3 reactor at the Fukushima Daiichi plant may have heated and produced steam, TEPCO says. Media images earlier showed white smoke drifting from the plant. 11:19 - The radiation reading at the main gate of the plant rose sharply just after 0100 GMT on Friday and started to fall almost an hour later, the government says. 11:30 - It is not realistic to think that the No. 4 reactor at the plant will "reach criticality", the chief government spokesman says. 11:38 - Japan may seek direct U.S. military help to end the crisis at the plant, the chief government spokesman says. 13:27 - Japan's nuclear safety agency says operators of the damaged nuclear plant plan to bulldoze an emergency route to the facility to allow access for fire trucks. 16:05 - The temperature stabilised and pressure dropped at the No. 2 reactor, the plant operator said. 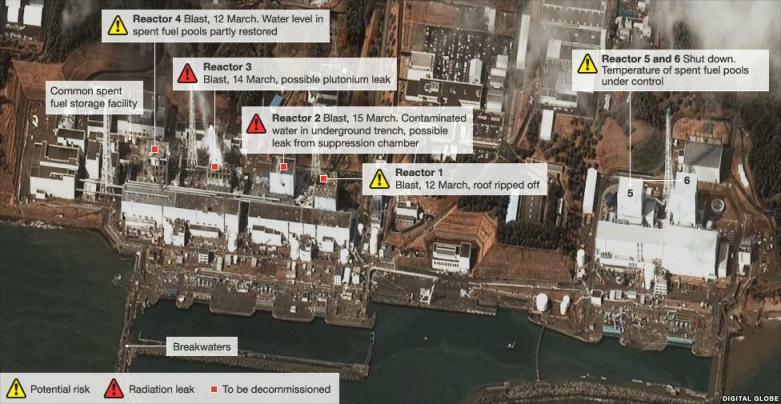 16:55 - Operator says as of 0230 GMT there were 180 workers on site at the damaged nuclear power complex. 16:55 - Tokyo Electric Power Co says it recorded the site's highest levels of radiation at the No.3 reactor on Wednesday. 17:26 - The operator of Japan's quake-stricken nuclear power complex, Tokyo Electric Power Co Ltd , says it is unable to resume work on cooling reactors due to radiation risk. 17:32 - The World Health Organisation's representative in China says there is no evidence of any significant international spread of radiation from the nuclear site. 18:00 - Japan's top government spokesman says radiation levels around the nuclear plant are not at levels to cause an immedaite health risk. 18:14 - A helicopter was unable to drop water to cool a quake-stricken reactor in northeastern Japan probably because of the high radiation, Kyodo news agency says, quoting the defence minister. 18:29 - Water is being poured into reactors No.5 and No.6 at Fukushima's Daiichi nuclear power plant, the operating company says. 19:47 - No radioactive iodine or cesium was found in the tap water of Japan's Fukushima prefecture, Kyodo news agency reports, quoting the local government. 19:53 - Japanese police will attempt to cool the spent nuclear fuel pool at the No. 4 reactor at the stricken Fukushima Daiichi nuclear plant using a water cannon truck as early as Wednesday night, NHK television says. 21:01 - Major damage is unlikely to have been sustained at the No.3 reactor of Japan's quake-stricken nuclear power plant, Kyodo reports, quoting the government. 21:48 - Japan wants to use its military to help pump water to the No.3 reactor and into a spent-fuel pool at the No.4 reactor of a quake-stricken nuclear plant, the nation's nuclear safety agency says. Radiation levels at a monitoring post outside the Fukushima Daiichi plant had spiked at 0330 GMT to 10,850 microsieverts per hour, but fell back later to 2,331 microsieverts an hour later, it says. 06:06 - The Nuclear and Industrial Safety Agency says radiation levels at the Fukushima plant had fallen over the past 24 hours. A reading of 338 microsieverts per hour was recorded at the main gate at 05:00 against 752 12 hours earlier. 07:43 - Japan's weather agency said winds near the plant are forecast to blow from the northwest on Thursday towards the Pacific Ocean. 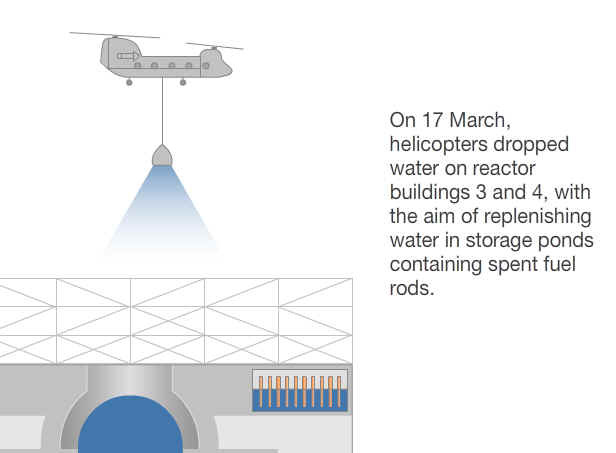 08:38 - A Japanese military helicopter begins spraying water on the plant, the Defence Agency is quoted as saying. Officials later say two of four water drops hit their mark. 09:55 - Australia issues new appeal to nationals in Tokyo and eight other prefectures to consider leaving Japan. 10:30 - Kyodo news agency says the United States will fly a high-altitude drone equipped with infrared sensors over the plant to help determine what is happening inside. 11:24 - TEPCO says pressure is rising again at reactor No. 3. It says there was still water in its spent-fuel pool. On Wednesday, the company described the situation there as "not so good." The U.S. Nuclear Regulator Commission said on Wednesday there was no water in the pool. 12:59 - U.S. State Department authorises voluntary departure from Japan of family members of diplomatic staff. 16:27 - An unexpected, large-scale power outage is possible in Tokyo and surrounding areas on Thursday evening if power demand exceeds this morning's, Japan's trade minister says. 17:20 - Low concentrations of radioactive particles are heading eastwards from the plant towards North America, a Swedish official says. The official at the Swedish Defence Research Institute, a government agency, was citing data from international monitoring stations. Levels were not dangerous for people, he says. 17:37 - Three of the six reactors at the earthquake-hit Fukushima Daiichi nuclear plant in northern Japan are now relatively stable, officials say. work to connect outside power cables to the plant and that electricity could be connected on Thursday. 21:39 - Japan's nuclear safety agency said a pool for cooling spent nuclear fuel at the No.4 reactor of the stricken plant remains a serious concern. 09:20 - White smoke or steam was rising from reactors 2, 3 and 4, the nuclear safety agency said on Friday. It said it believed there was still water in the spent fuel pool at reactor No.3. 10:04 - Japan's nuclear safety agency said it was aware of the ultimate "Chernobyl solution" to contain the nuclear disaster at the quake-hit plant by covering it in sand and encasing it in concrete, but added that it was currently focusing on efforts to restore power and cool down the reactors. 17:53 - Electricity could be restored on Saturday morning at the No.1 and No.2 reactors, the country's nuclear safety agency said on Friday. 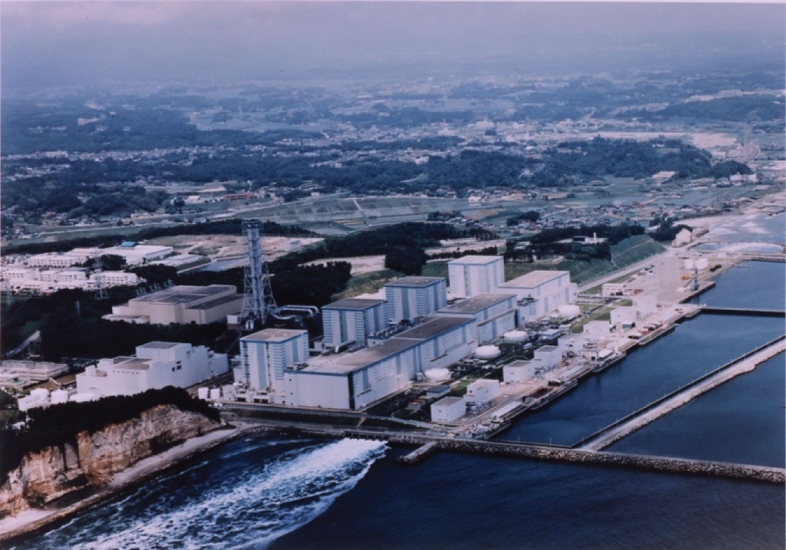 The agency also raised the incident level at reactors No.1, No.2, and No.3 at the Daiichi plant to level 5 from level 4. 18:11 - Japan has raised the incident level at the nuclear reactor, the U.N. nuclear watchdog reported on a monitoring website. 20:01 - Electricity could be restored on Saturday morning at the No.4 reactor at the crippled Fukushima Daiichi nuclear power plant in northeast Japan, TEPCO said. 20:02 - Japan's Prime Minister Naoto Kan, under increasing pressure for his handling of the aftermath of the country's devastating earthquake and nuclear crisis, may visit worst-hit areas of the northeast next week, a senior official said on Friday. 21:02 - Japanese engineers cannot say if damaged nuclear reactors are under control, Hideohiko Nishiyama, deputy director general of the Nuclear and Industrial Safety Agency, told reporters. 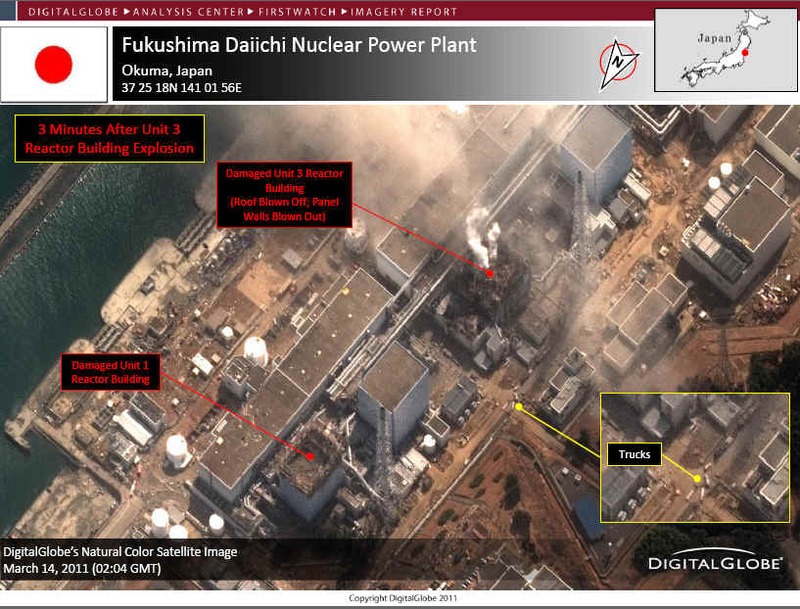 The entry gave the accident at the Fukushima Daiichi site a level 5 rating, up from level 4 previously on a 1-7 scale. 03:30 - TEPCO said it had connected an external transmission line with the stricken plant and confirmed that electricity could be supplied. 06:08 - The U.S. government says that "miniscule" amounts of radiation are detected in Sacramento, California, but that no radiation levels of concern have been uncovered in United States. 15:24 - The World Health Organisation says that the detection of radiation in food after an earthquake damaged a Japanese nuclear plant was a more serious problem than it had first expected. 16:13 - Japan's top government spokesman says tests detect radiation above the national safety level in spinach and milk produced near the Fukushima nuclear plant. 18:01 - Engineers attach a power cable to one of Japan's quake-stricken reactors but electricity has yet to be switched on, the nuclear safety agency said. 22:42 - A sample of tap water from Tokyo shows a tiny level of radioactive iodine, the government said. The sample contained 1.5 becquerals per kg of iodine 131, well below the tolerable limit for food and drink of 300 becquerals per kg, the government added. 00:29 - The U.N. nuclear watchdog says it is unclear whether water pumps at Japan's disaster-hit nuclear power plant will work once power is restored. 16:37 - The Japanese government will decide by Monday on whether to restrict consumption and shipments of food products from the area in the vicinity of a quake-hit nuclear complex, after higher-than-normal levels of radiation were found in milk and spinach from the area. 16:53 - Japan's Kansai Electric Power plans to delay the reopening of two nuclear power plants by about two weeks, news agency Kyodo says, without quoting a source. 17:23 - Engineers have restored power to the crippled reactor No. 2 in northeast Japan, Kyodo news agency says. It also said that Tokyo Electric Power Company aimed to restore the control room function, lights and the cooling function at the No. 1 reactor, which is connected to the No.2 reactor by cable. 21:51 - Reactors at stricken Fukushima Daiichi nuclear power plant are showing some improvement but the situation remains uncertain, Tetsuro Fukuyama, Japan's deputy chief cabinet secretary says. 22:09 - The operator of Japan's crippled nuclear power plant says it may take several days for power to be restored at the the No.3 and No.4 reactors. 16:32 - Power cables have now been connected to all six nuclear reactors at Japan's tsunami-damaged Fukushima Daiichi power plant, operator Tokyo Electric Power says. 19:54 - The U.N. atomic agency chief says that Japan's nuclear situation remains very serious but that he had no doubt the country will "effectively overcome" the crisis. 20:14 - Food produced in Japan outside the zone around a stricken nuclear plant is safe, Deputy Chief Cabinet Secretary Tetsuro Fukuyama says. 20:41 - Firefighters postpone spraying Japan's badly damaged nuclear reactor No. 3 with seawater after a plume of grey smoke was seen over the structure. 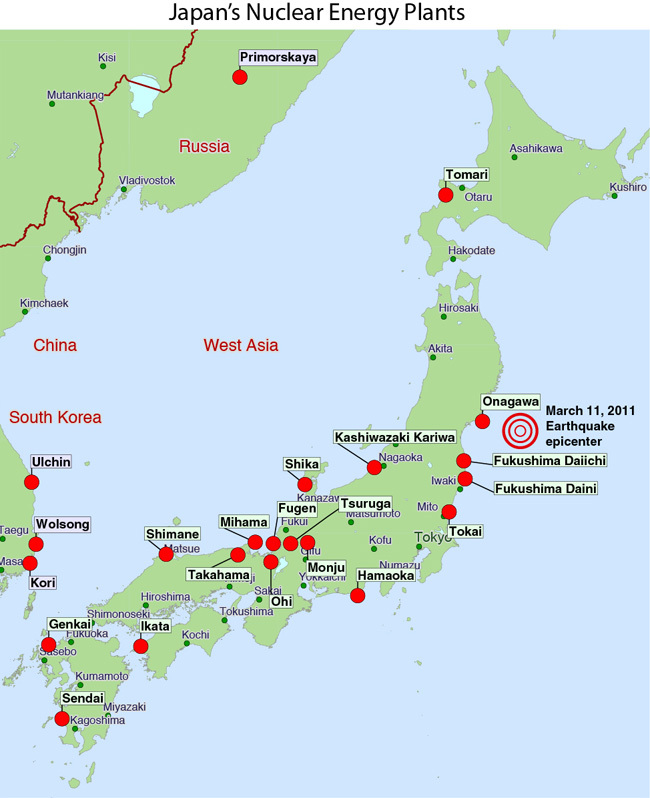 On March 21st 2011, radioactive materials were detected from the seawater around the discharge canal (south) of Fukushima Daiichi Nuclear Power Station which was damaged by the 2011 Tohoku-Taiheiyou-Oki Earthquake. This is the result of the sampling survey of radioactive materials in the seawater which was implemented as a part of monitoring activity of surrounding environment. Japanese authorities have informed the IAEA that on March 24, examinations of the thyroid glands in 66 children (14 of which are infants) were conducted near the evacuation area around the Fukushima nuclear plant. The exams were conducted at the Kawamata Town Health Center (40-50 kilometres from Fukushima Daiichi NPP) and Kawamata Town Yamakiya Branch Office (30-40 kilometres from Fukushima Daiichi NPP). Regarding developments at the Fukushima Daiichi nuclear power plant, 'white smoke' was reported at Units 1, 2 and 4 from 21:20 UTC on 24 March. Sea water injection to Units 1, 2, 3 and 4 continues as of 23:00 UTC 24 March.The IAEA is seeking further information on the latest status of all Units and spent nuclear fuel at Fukushima Daiichi NPP. 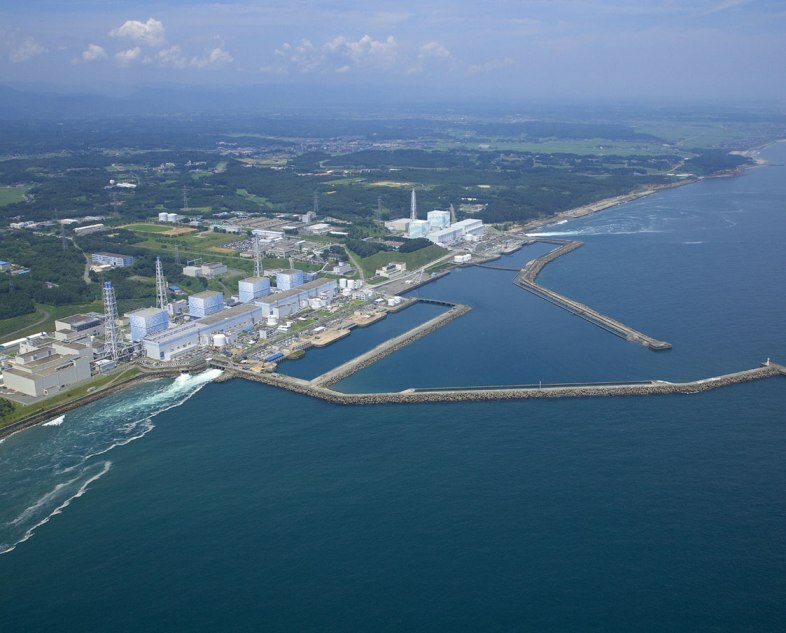 The Japanese Nuclear and Industrial Safety Agency (NISA) today issued a new provisional rating for the accident at the Fukushima Daiichi nuclear power plant on the IAEA International Nuclear and Radiological Event Scale (INES). 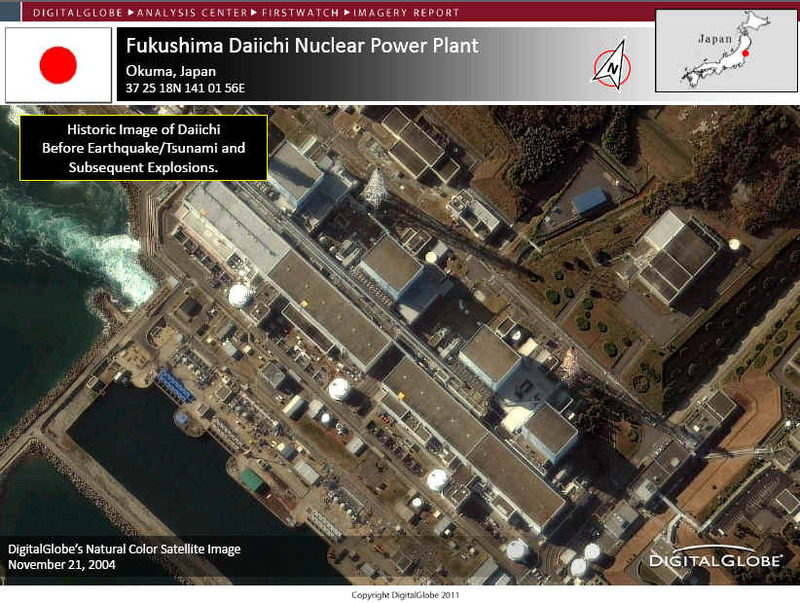 The nuclear accident at Fukushima Daiichi is now rated as a level 7 "Major Accident" on INES. Level 7 is the most serious level on INES and is used to describe an event comprised of "A major release of radioactive material with widespread health and environmental effects requiring implementation of planned and extended countermeasures". Japanese authorities notified the IAEA in advance of the public announcement and the formal submission of the new provisional rating. 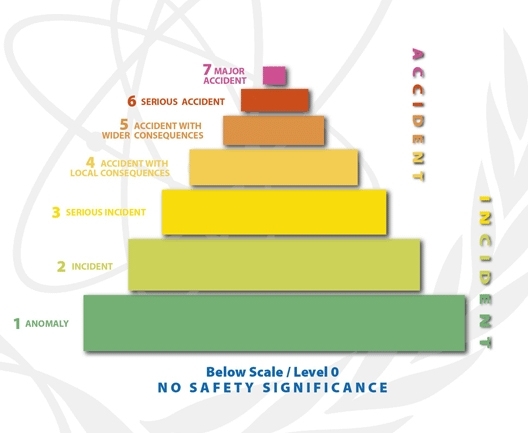 The new provisional rating considers the accidents that occurred at Units 1, 2 and 3 as a single event on INES. Previously, separate INES Level 5 ratings had been applied for Units 1, 2 and 3. The provisional INES Level 3 rating assigned for Unit 4 still applies. The re-evaluation of the Fukushima Daiichi provisional INES rating resulted from an estimate of the total amount of radioactivity released to the environment from the nuclear plant. NISA estimates that the amount of radioactive material released to the atmosphere is approximately 10% of the 1986 Chernobyl accident, which is the only other nuclear accident to have been rated a Level 7 event. 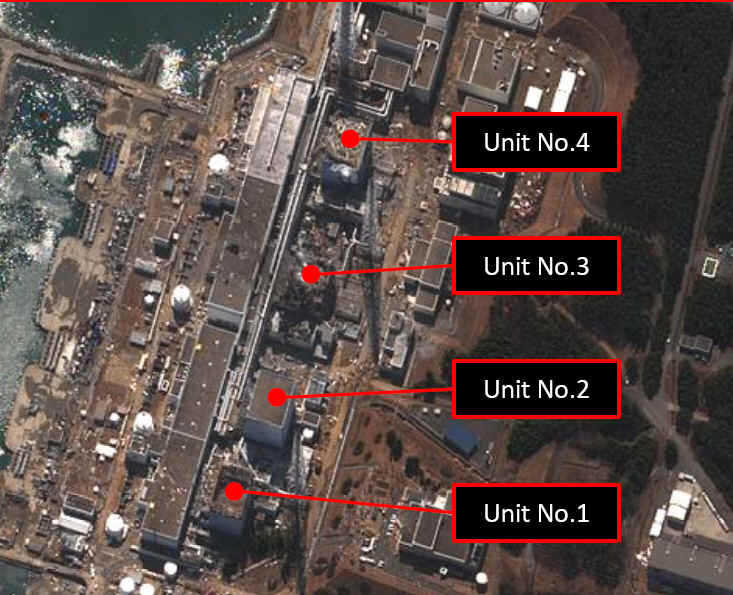 On 18 March, Japanese authorities rated the core damage at the Fukushima Daiichi 1, 2 and 3 reactor Units caused by loss of all cooling function to have been at Level 5 on the INES scale. They further assessed that the loss of cooling and water supplying functions in the spent fuel pool of the Unit 4 reactor to have been rated at Level 3. Japanese authorities may revise the INES rating at the Fukushima Daiichi nuclear power plant as further information becomes available.